1. 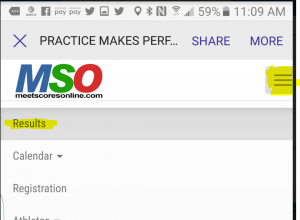 To view scores online, go to Meet Scores Online. If you are a first time visitor, you will need to verify you are not a robot. Once you have verified, you may be redirected to a new page that states “object has moved click here.” This will be located in small print at the top of a new page. 2. Next, click on the Menu Tab at the top right of the page and then scroll down to Results. 3. 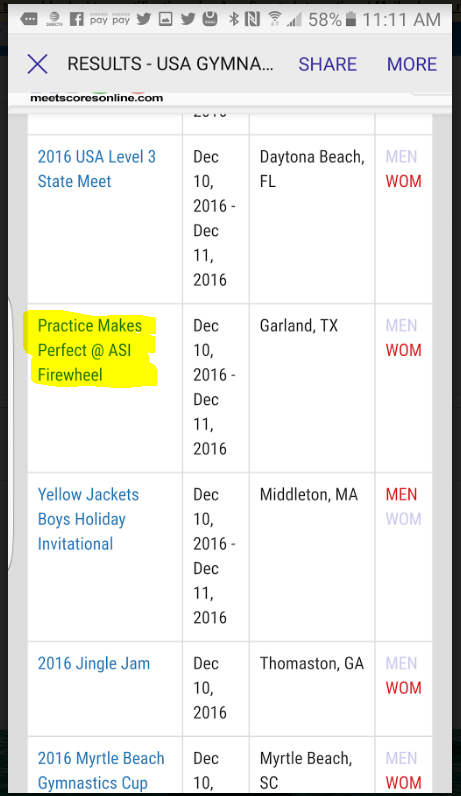 Scroll down until you find Practice Makes Perfect Meet. 4. 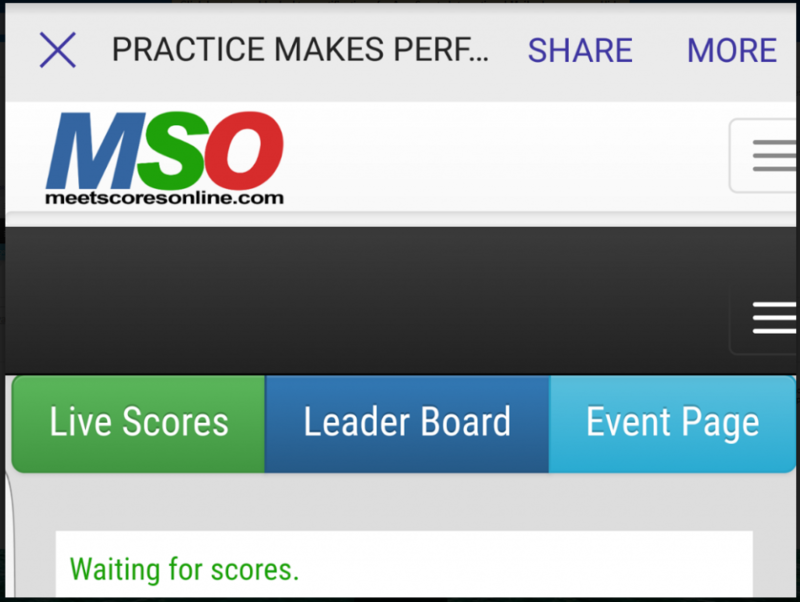 Now click on Leaderboard to view your scores.